This post combines two of our favorite things… incredible wipeout shots and fantastic online reviews. The reviews help new students find us, and the photos keep us all laughing for days! 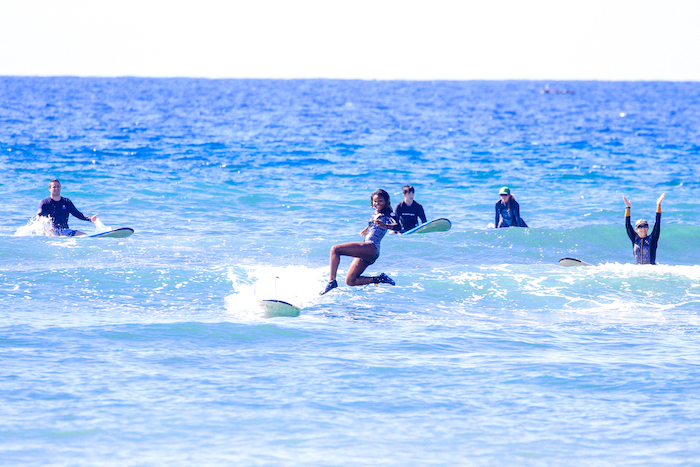 We are so happy to have two amazing freelance photographers, Krystal and Mariana of Island Dream Productions, come to the beach and offer professional quality images to our surf students. 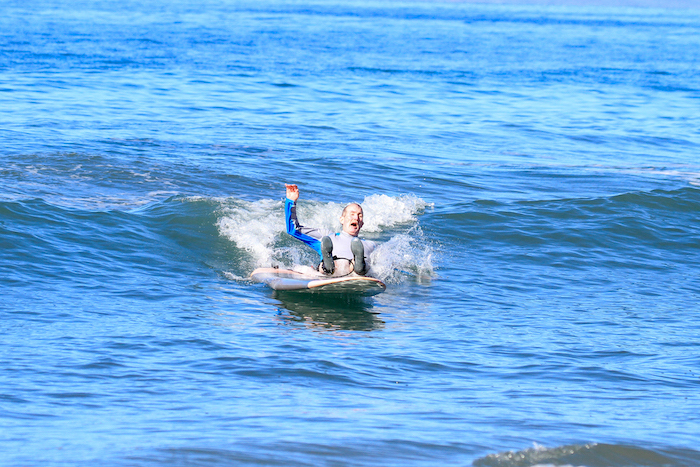 When learning to surf, there’s one thing that’s certain… you will fall. Luckily, you are falling into the warm and gentle Pacific Ocean, and if you are extremely lucky, Krystal and Mariana will catch the exact moment that you do. Best experience EVER!!! Thanks to Carol and Maui Surfer Girls our 9 year old is all smiles and proudly declares herself a surfer! Carol is an amazing instructor and person in general. She took such good care of our daughter and taught her so much! Watching from the beach my husband and I were smiling ear to ear in sheer awe as our little peanut was up on her board and surfing waves in no time at all. This was a beyond amazing experience for all of us. So great, in fact, we signed her up for a 2nd lesson. I whole heartedly recommend Maui Surfer Girls to ANYONE considering surfing lessons. Thank you to Carol, Dustin, Luna and the entire staff. We will be back. One last tip. GET THE PICTURES!! They are priceless. Thank you Krystal! 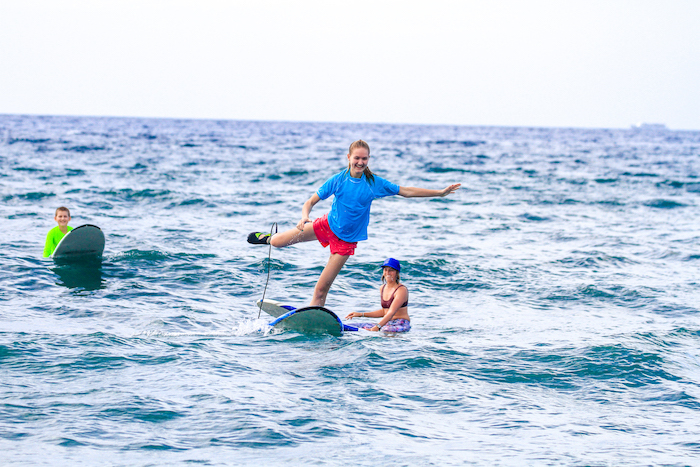 Maui Surfer girls is the best group of surf instructors we have ever had! Really supportive, strong technical tips, and really helped my daughter and I improve our surfing in just a few days. Also, they are EXTREMELY focused on providing the right experience. 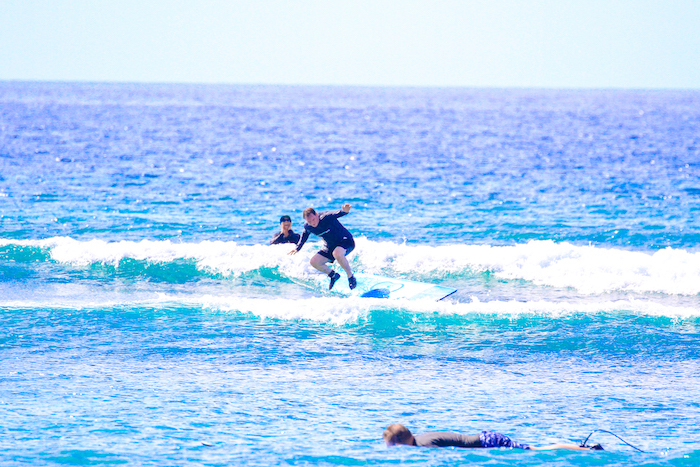 Some schools have a “get in the water no matter what so we can charge you” mentality, but MSG was really focused on making sure the right conditions were there, cancelling lessons when needed, and even going on “surf safaris” to find the right conditions when necessary. We’ll be back again for sure! My daughter, Lily, is five and has been on three sessions with Kiki over the last year. Her first time out with Kiki was so amazing that she said she would forgo Christmas (and all the presents) this year to be able to go surfing with Kiki again. We traveled to Maui and was able to get two sessions in with Kiki. We plan to return every year for several surfing lessons with Kiki until she is old enough to start attending the camps. Carol taught us about surfing and how to surf, and we all did it! Her instructions made what seems like a simple sport, a doable sport. Beginners are welcome. Also on-site was a photographer who was able capture the key shots of our successes. My daughter and I took a lesson for the first time and loved it. Kiki was our instructor and she was fantastic. Very informative with all aspects to the ocean and beginner surfing techniques. As she promised, we both caught a few waves and even a Huli Huli or two! 🏄🏻‍♀️ Thank you Kiki and Maui Surfer Girls! Hope to see you all again! The service and instructors at Surfer Girls were amazing. They love their sport (and job) and share their passion with you! I learned so much the first day in a private and then took a group lesson. Although my 53 year old shoulders were tired, I truly think I have the basis to continue learning on my own and to surf with my teenage son. Thanks Kiki, Carol and Dustin!